Note that every even signal is symmetric, but not every symmetric signal is even. To be even, it must be symmetric about time 0. A zero-phase filter cannot be causal (except in the trivial case when the filter is a constant scale factor ). 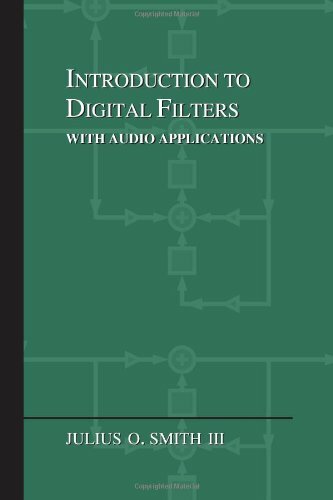 However, in many ``off-line'' applications, such as when filtering a sound file on a computer disk, causality is not a requirement, and zero-phase filters are often preferred. for any real, even impulse-response . Thus, the frequency response is a real, even function of . 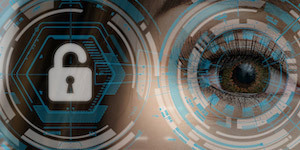 Recall from §7.5.2 that a passband is defined as a frequency band that is ``passed'' by the filter, i.e., the filter is not designed to minimize signal amplitude in the band. For example, in a lowpass filter with cut-off frequency rad/s, the passband is . Under our definition, a zero-phase filter always has a real, even impulse response [ ], but not every real, even, impulse response is a zero-phase filter. For example, if is zero phase, then is not; however, we could call a `` -phase filter'' if we like (a zero-phase filter in series with a sign inversion). Practical zero-phase filters are zero-phase in their passbands, but may switch between 0 and in their stopbands (as illustrated in the upcoming example of Fig.10.2). Thus, typical zero-phase filters are more precisely described as piecewise constant-phase filters, where the constant phase is 0 in all passbands, and over various intervals within stopbands. Similarly, practical ``linear phase'' filters are typically truly linear phase across their passbands, but typically exhibit discontinuities by radians in their stopband(s). As long as the stopbands are negligible, which is the goal by definition, the -phase regions can be neglected completely. The impulse response h is returned in linear-phase form, so it must be left-shifted samples to make it zero phase. 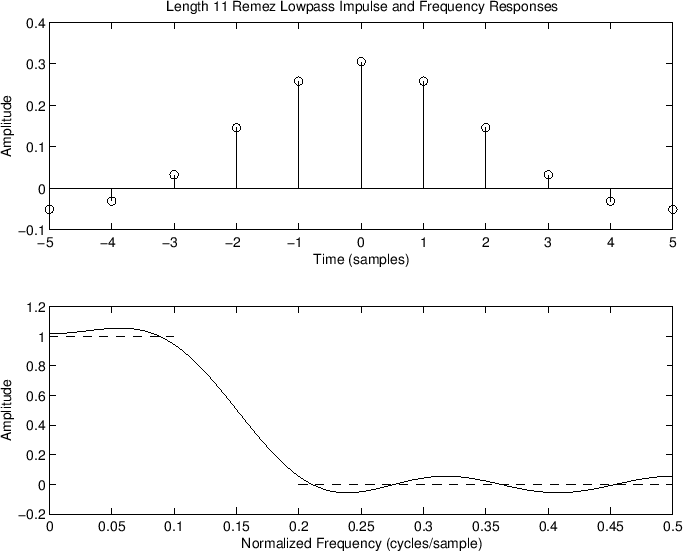 Figure 10.1: Impulse response and frequency response of a length 11 zero-phase FIR lowpass filter. Note that the frequency response is real because the filter is zero phase. Also plotted (in dashed lines) are the desired passband and stopband gains. Figure 10.2 shows the amplitude and phase responses of the FIR filter designed by remez. The phase response is zero throughout the passband and transition band. However, each zero-crossing in the stopband results in a phase jump of radians, so that the phase alternates between zero and in the stopband. This is typical of practical zero-phase filters. 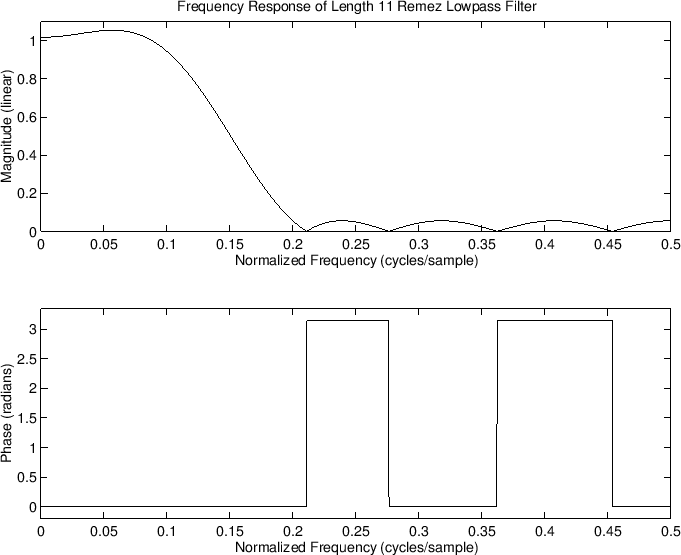 Figure: Amplitude response and phase response of the length 11 zero-phase FIR lowpass filter in Fig.10.1. The trivial (non-)filter has frequency response , which is zero phase for all . which is real for all . which is clearly real whenever the coefficients are real. Similarly, there are no odd-order (even-length) zero-phase filters.